Portrait by Renan Gago at São Romão, Minas Gerais – Brasil. 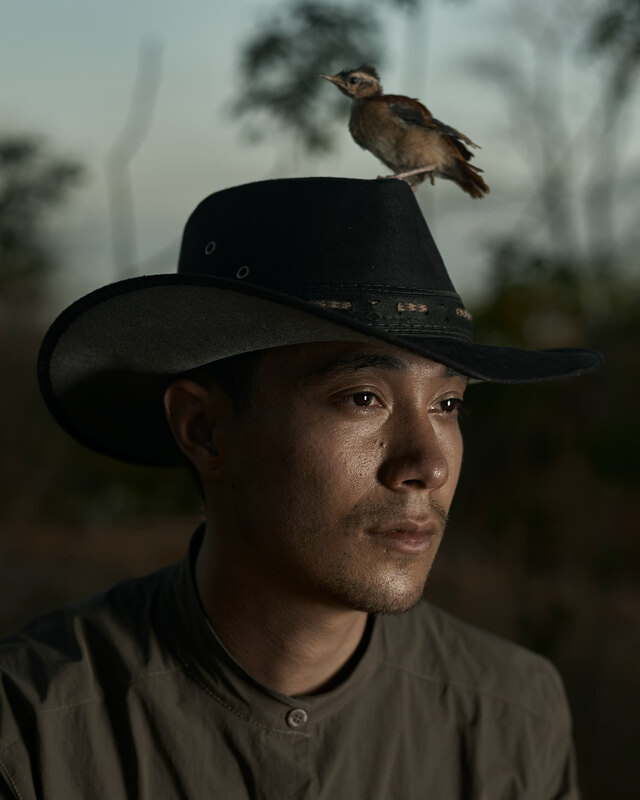 I’m Bruno Fujii, full-time photographer and visual storyteller living in São Paulo/Brazil. Chico Buarque fan. Film addicted. Passionate reader. Bike rider. Future writer. Graduated designer with visual communication skill (2002-2007), and incomplete lato sense degree in communication and semiotics (2011-2013). Self-taught photographer. I’m focused on portrait, documental, editorial and commercial photography. It’s my area of interest all that relates to national and international human causes. Portuguese native, and english working proficiency. I’m available for on location or off-site worldwide assignments in both short or long-terms projects. Born in Sorocaba, a municipality in the state of São Paulo, I was raised in a small neighborhood where I would play along all day with other kids in the street — riding a bike bigger than me and mostly hurting my feets trying to play soccer. After my teenage years watching movies all day long and having dreams about becoming a punk rock star, in the year 2002 I moved to São Paulo to study graphic design. In college I started to be even more interested in all things visual: design, illustrations, art direction and photography. In my 20’s I was reading more books than I can remember, and watching movies I have never heard of. Working in personal illustrations and design concepts helped me to start at an advertising agency in 2007 as an intern, and late 2011 after already being an art director I decided to study semiotics. Although an incomplete postgraduate, I learned the psychoanalytic aspects of human behavior and the conceptual intricacy structure of aesthetics. In the year 2014 I decided to learn photography, and it wasn’t easy as I thought; but I was extremely committed in learning all the details of the medium — by studying its craft and its history simultaneously. As the years passed by I became more interested in Brazilian culture, music, cinema and literature. I found Graciliano Ramos as good as Tolstoy and Dostoyevsky, and reading J. D. Salinger I had saddly underestimated Machado de Assis all my youth. I realized I wasn’t listening Bob Dylan, Beatles and Paul Simon as I used to listen; I would play Tom Jobim, Novos Baianos and Milton Nascimento instead. But in these past years a book would always intrigue me: “The Devil to Pay in the Backlands”, a book by Guimarães Rosa; I would read it 3 times until I decided I had to travel to Minas Gerais, to visit sertão (hinterland of Brazil’s northeast, especially northern Minas Gerais state), to know veredas and its people. Finally, back in november 2015 I worked on a seminal personal photography project called “Minas Gerais: In the backlands paths”, which consists in a project based in Guimarães Rosa voyage with 8 boiadeiros (brazilian native cowboys) along 150 miles in 1952, and of course, inspired by his most acclaimed book “Devil to Pay in the Backlands” (Grande Sertão: Veredas) published in 1956. The idea was not artificially recreating the universe of sertão, and neither portrait their people in traditional costumes to make a misleading impression of past on contemporaneity. The 15 days schedule was definitely a milestone in my life, it was planned to started at Confins, going to Sete Lagoas, Três Marias, Pirapora, São Romão, Januária, Candeal, Pandeiros, São Joaquim, Serra das Araras, Vão dos Buracos, Chapada Gaúcha and back to Confins; navigating, tracking road lands, cerrado; several small cities, towns and villages, most of them riverside São Francisco — the longest river that runs entirely in Brazilian territory, and knowing rivers like Abaeté and Rio Pardo with fishermen and locals. Unfortunately the environment was deeply degraded, destructing not only its ecosystem, but extinguishing wildlife and impacting locals communities causing almost irreversible damage in society and nature. The irresponsibly exploitation of natural resources is also extinguishing local biodiversity leading to pastures for cattle, agribusiness, eucalyptus plantation, hydroelectric and tailings dam. The native society is loosing its identity and pride, trying to find new perspectives in big cities or larger near cities causing rural exodus. All these problems I really wasn’t aware awakened a feeling of extreme sadness inside me, yet I couldn’t help to feel happy to meet these people and hear their histories. I feel I’m in a road of understanding myself better as a person after this journey, and I hope these pictures can evoke the warmth and kindness of all the people I happily met in Minas Gerais, Brazil. After several one-off collaborations for NGOs in Brazil in 2015, in 2016 was hired by Consulate Woman’s Institute (Instituto Consulado da Mulher – BR), which hosts a national award that aims to identify and collaborate with the development of women’s enterprises located away from urban centers, believing that every investment made to women are key to the local socio-economic development. I met entrepreneurship empowered women in their workhome/workstation and visually registered their daily work, battles and achievement — building a dignity imagery narrative of their business to increase the chance for new opportunities to arrive for both better income and encouragement, that can be viewed in this link. From 2016 to the present, my work has been a balance between personal projects and commercial assignments. Copyright Notice: All images appearing in this site are the exclusive property of Bruno Fujii, and are protected under international copyright laws. Images are not to be reproduced, copied, stored, manipulated, projected, used or altered in any way, alone or with any other material without the express written permission of Bruno Fujii and/or his agents. Bruno Fujii reserves the right of attribution and integrity of the work preserving photographs from alteration, distortion, or mutilation — anything else that may detract from the artist’s relationship with the work even after it leaves the artist’s possession or ownership. Personal projects are not meant to be commercially used and should protect their respective models respecting their privacy and moral rights, also sharing a percentage of any form of futre profit or monetization. Copyright © 2014-2019 by Bruno Fujii. All Rights Reserved.